How can educators bring together the best of old school wisdom and new school technology to enhance instruction and improve student outcomes? Join us for an exclusive webinar series to find out! In this series, ICLE Senior Fellow and author Weston Kieschnick will explore proven teaching strategies from Bold School. Join the first webinar for an overview. Then, each following webinar will take a deeper look into your choice of blended learning strategies. Take advantage of this learning opportunity and register for the webinars today! You voted, and we listened! Our follow up webinars will take a deeper dive into select high impact teaching strategies, providing actionable insights and examples of how to implement them with HMH resources. In this kickoff webinar, Weston outlined his Bold School Framework for Blended Learning. Reciprocal teaching can be used effectively across all subject areas, including ELA, social studies, math and science, to improve literacy and comprehension with a simple four step process: Predict, Clarify, Question, and Summarize. By combining this strategy with effective digital tools, instructors can deepen students' learning as they take on greater responsibility throughout the process. A highly effective vocabulary strategy is one that teaches in a structured way, where words are related to core concepts being learned and are delivered in context. Repetitive exposure and being able to picture words also promotes retention. Leveraging technology can amplify these strategies by creating rigorous thinking around words while helping to commit them to memory. Meet the coach! 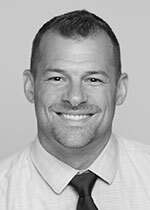 Weston Kieschnick, of the International Center for Leadership in Education® (ICLE), has elevated student learning and driven change in multiple capacities. Weston began his educational career as a social studies teacher and department chair in Hamilton, Bermuda, where he was a three-time recipient of the public schools’ “Most Influential Teacher” award. Now, Weston shares his expertise to help teachers stay on top of their game and create clear pathways for school and district transformation. An avid blogger and advocate of blended learning experiences, Weston motivates educators to move beyond the ordinary and reach their potential as true innovators for learning.